The inaugural meeting of the Society on 5th June 1973 was attended by about eighty members. 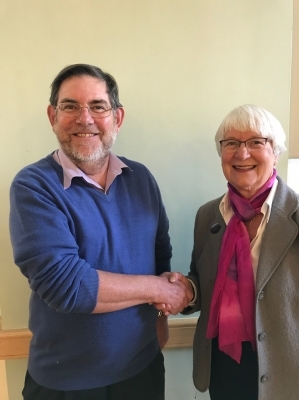 After a successful second term as Society Chairman Gill Clarke handed over to Nick Swan at the AGM in April 2017. In addition to a career in teaching history, Nick has had a long interest in researching and re-enacting the English Civil War.